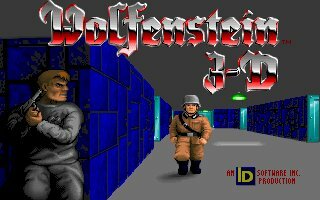 Welcome to the Wolfenstein 3D Texture Library! put an end to any "copyright blues" you may experience through using the original Wolf 3D graphics!!! you mention this Texture Library, and our website (www.areyep.com), somewhere in your game credits. to creating your own new textures for Wolfenstein 3D. "Why make mods for an old game like Wolfenstein 3D?" Well, there's an endless sea of add ons for Doom, Quake etc. But Wolfenstein 3D was released before there was a recognised "mod scene". Can you blame us for wanting to breathe some life into the classic that started it all? Click on the desired link below to take you to the section you wish to check out. Yes, more sections coming soon! Stay tuned!